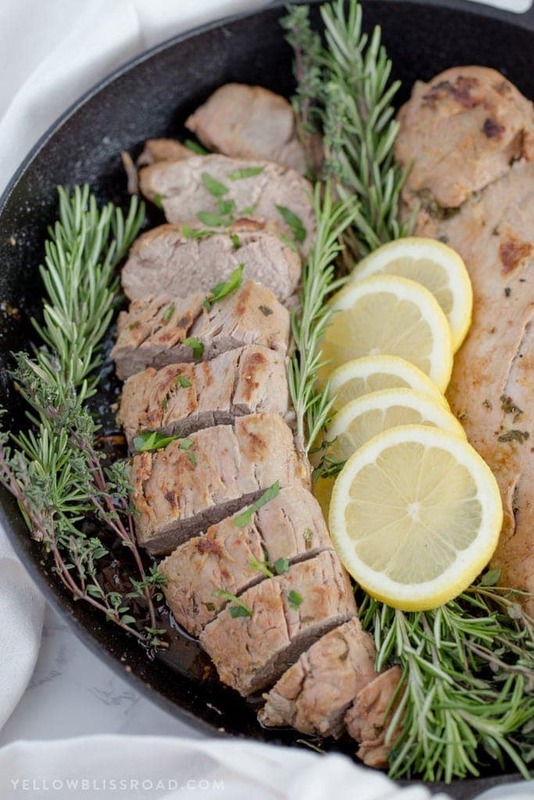 This Lemon Herb Pork Tenderloin is tender and flavorful with lots of fresh herbs and lemons. 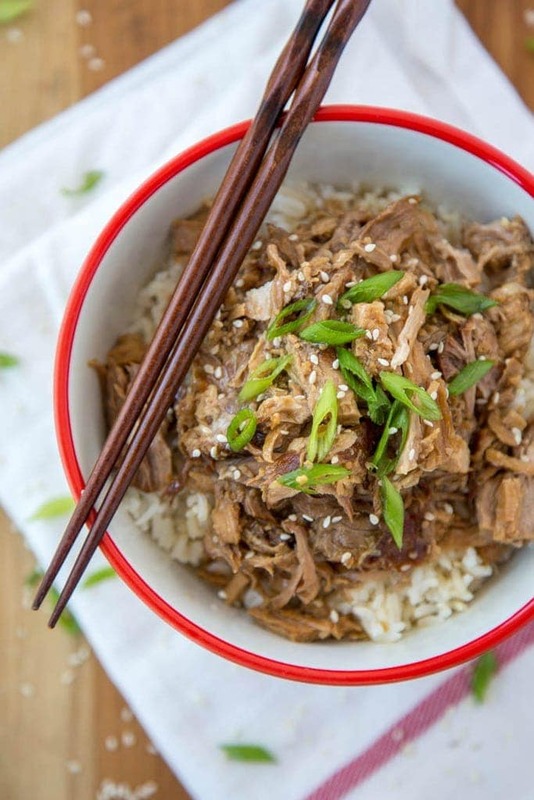 It’s surprisingly easy and cooks in under 30 minutes (plus marinade time), making it a great weeknight meal. 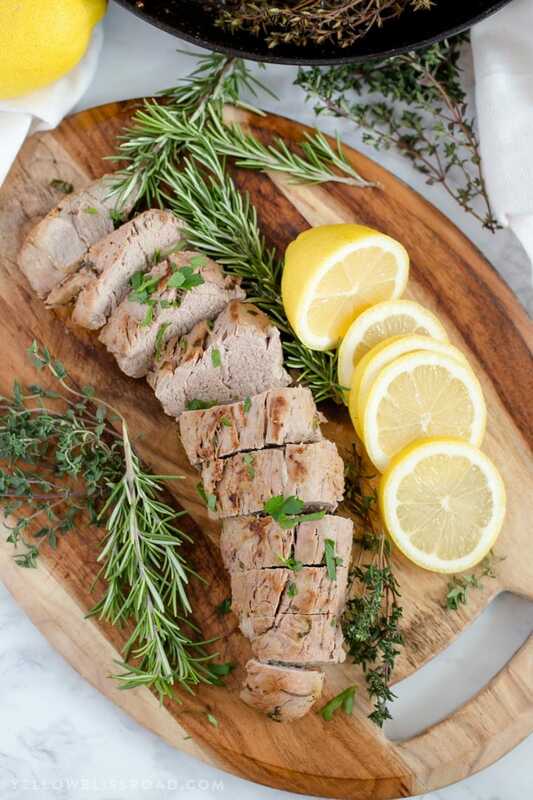 Pork Tenderloin is super tender cut of pork that easily lends itself to tons of different flavor options. It is similar to chicken breast, but (in my opinion) more rich in flavor. 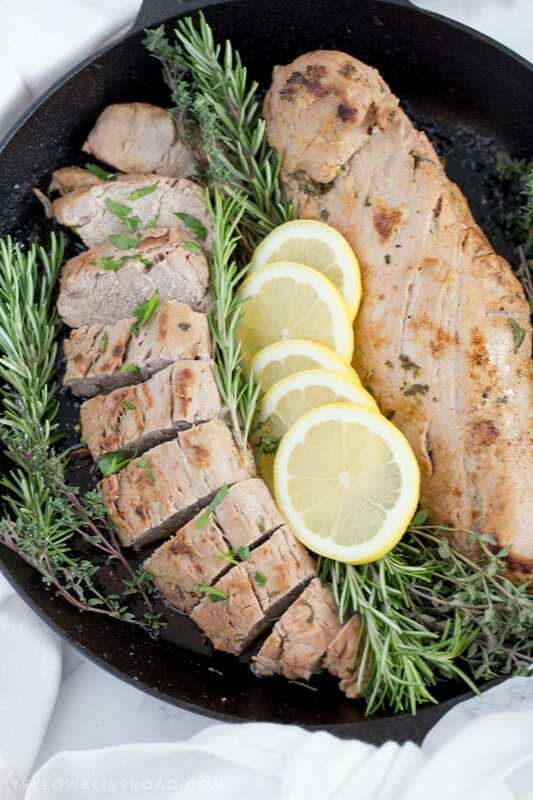 If you cook it right, pork tenderloin can be the most tender, juicy meat you’ve ever eaten. 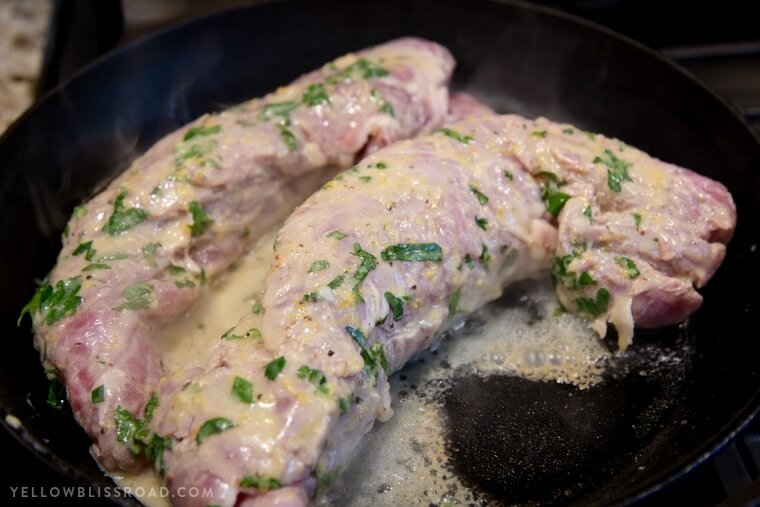 I have cooked tenderloins a variety of ways, from the slow cooker to the grill, but my favorite method is the cast iron skillet. 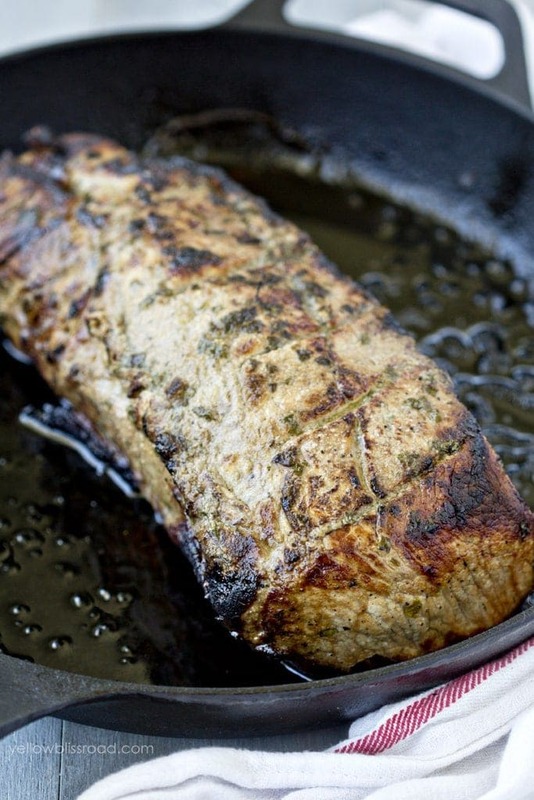 The meat is seasoned or marinated and seared in the cast iron before finishing it in the oven. 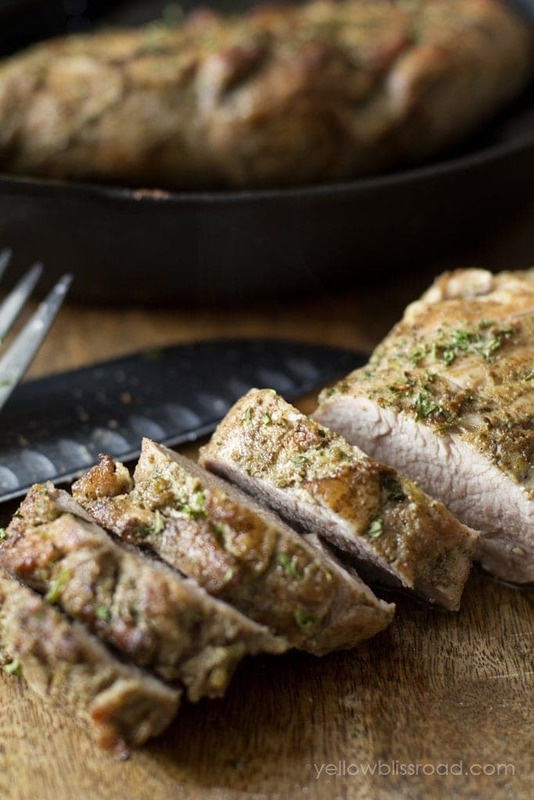 The pork should register between 145 and 160 degrees on a meat thermometer, and it must have time to rest before slicing. Like any meat, the juices come to the center as the meat cooks and need time to redistribute. 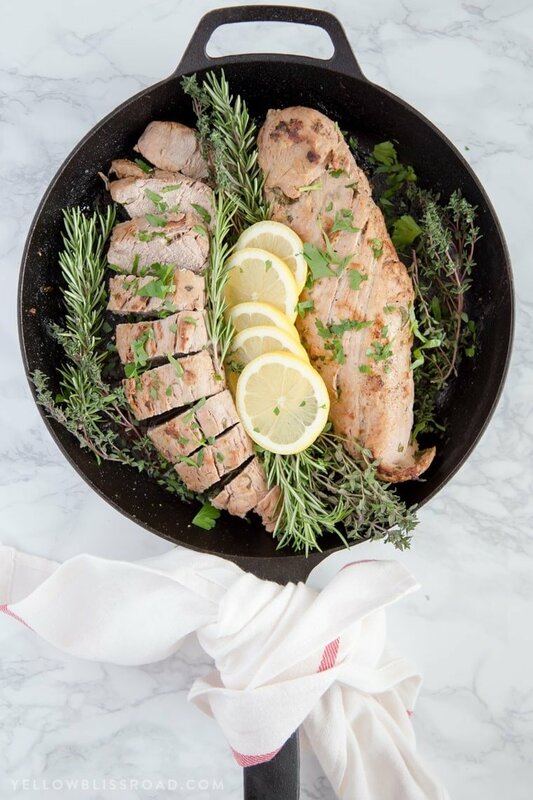 If you cut into it right away, all those yummy, lovely juices spill all over your cutting board and the result is a dry piece of meat instead of a tender, juicy one. 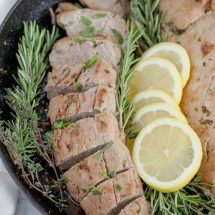 This particular recipe is a favorite, because I just love the combination of fresh lemons and herbs. We used to have a lemon tree in our backyard and I would cook with lemons all the time – I miss that tree! 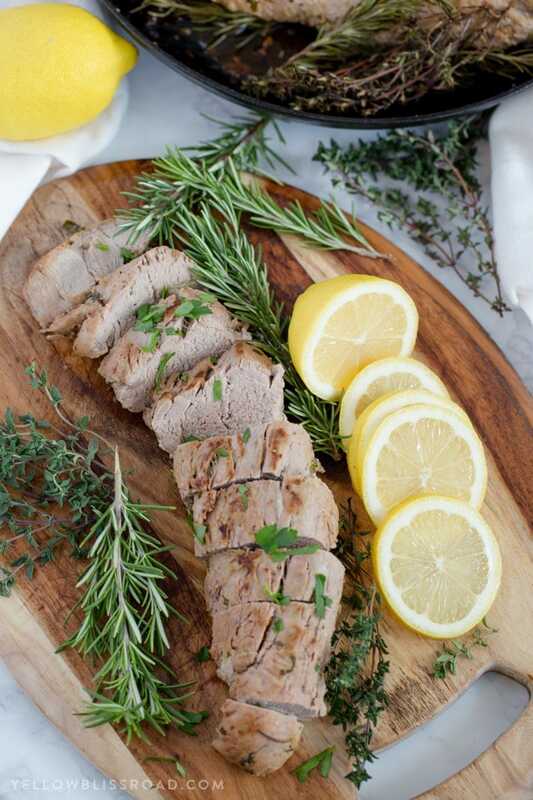 Anyway, the pork tenderloin is marinated in lemon juice and olive oil with some fresh herbs and a little dijon mustard for some extra punch. Give it at least 30 minutes in the marinade, but the longer, the better. Then the pork is seared in a skillet (if you don’t have cast iron, thats ok, but the skillet needs to be oven safe). Finally slide that baby into the oven and let it cook for about 18 minutes. Pull it out and tent it with foil, and let it rest for at least 5-10 minutes before slicing. The resting is so important, so don’t skip it! Trim the silvery skin from the tenderloin. Place in a seal-able container or in a zip-top bag. Pour marinade over the pork and seal. Marinate at least 30 minutes or overnight, if possible. 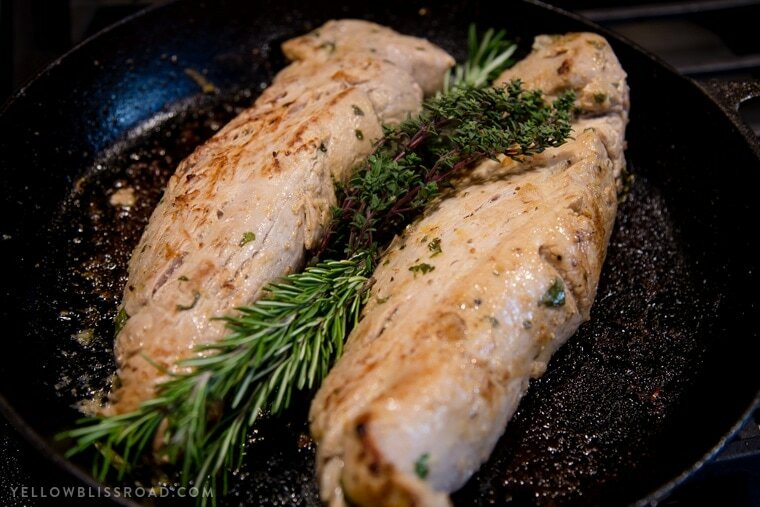 Heat a tablespoon of olive oil in a large cast iron (or other large, oven-safe skillet). Sear the tenderloins on each side; about 2 minutes per side; and slide the skillet into the preheated oven. Bake uncovered for about 18 minutes, or until the meat registers 145-160 degrees F on a meat thermometer. Remove from the oven and tent with foil. Rest for 5-10 minutes to allow juices to redistribute. 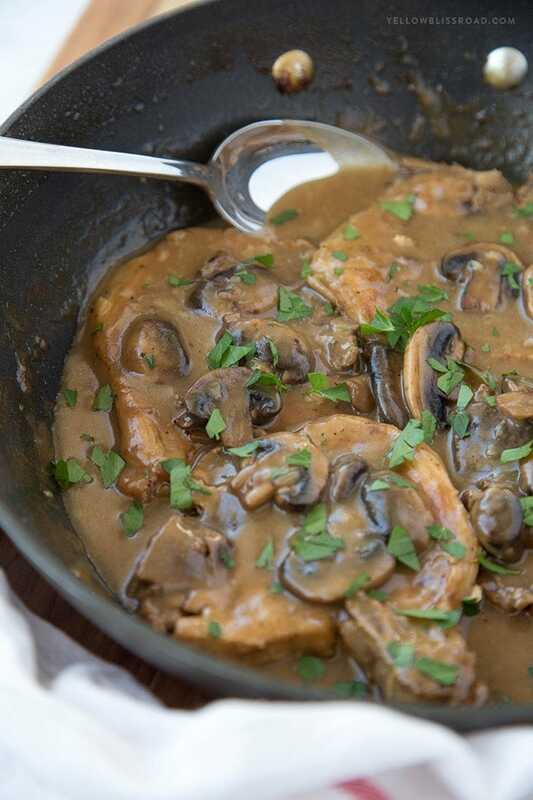 Slice into ½-inch medallions and serve immediately.